Mass Communication major, hoping to specialize in sports broadcasting. 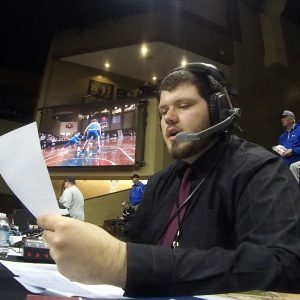 Radio DJ and Sports Director for 92.9 KMSC, also known as Fusion 93, KMSC, the student radio voice of Morningside College. Reading, gaming and disc golf are some things I do in my free time, so if you need some book recommendations I have a few that I can tell you about. When it comes to video games, if it’s not Assassin’s Creed, Grand Theft Auto or Destiny, I probably don’t play it.